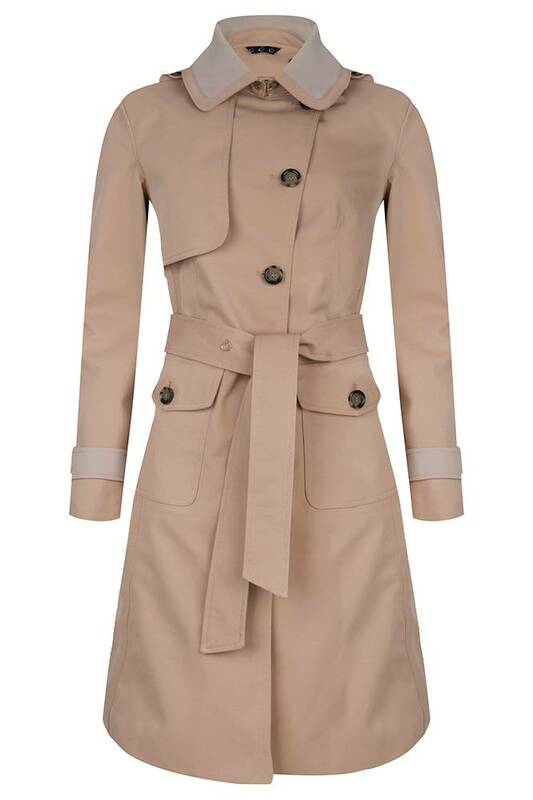 The Beige trench coat is a long tailored coat with elegant lines. 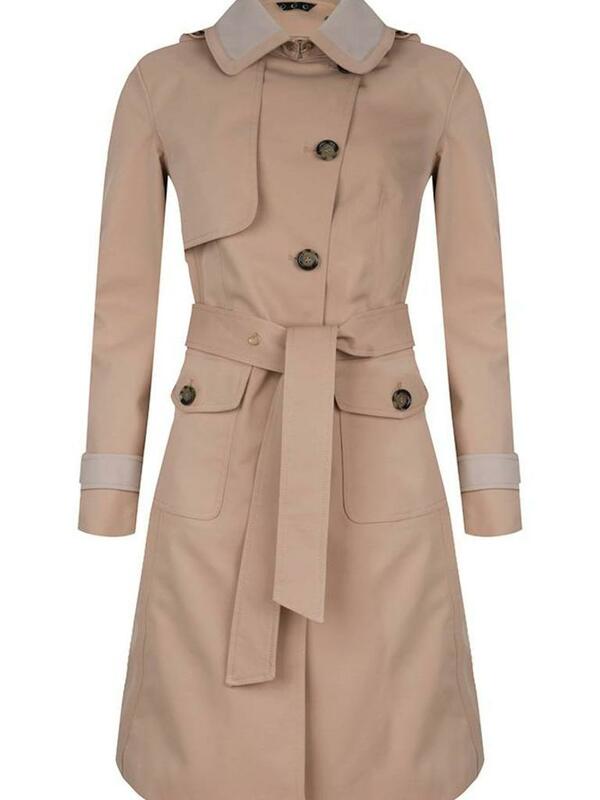 The front has an asymmetrical design and is finished with luxury buttons. The back has a pleat for easy movement. 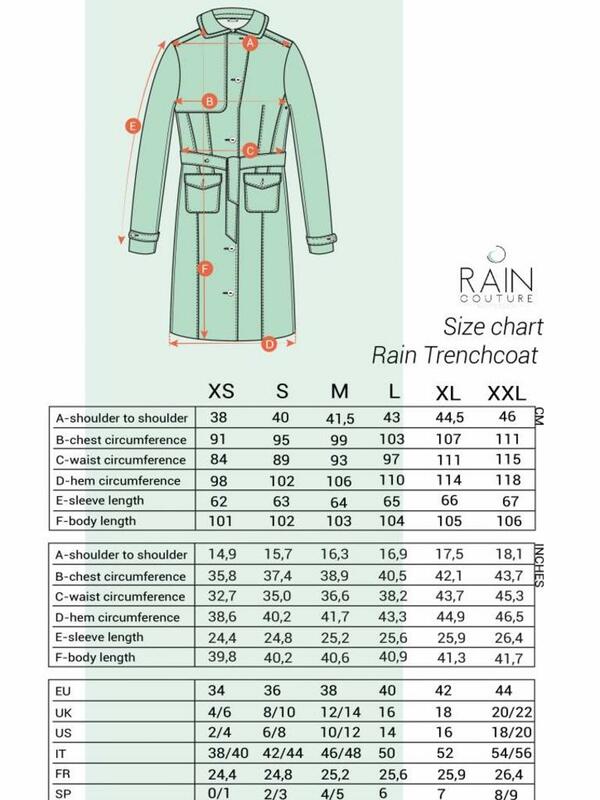 This stylish 4-season raincoat has a very breathable capacity and is made of a high quality and structured fabric. 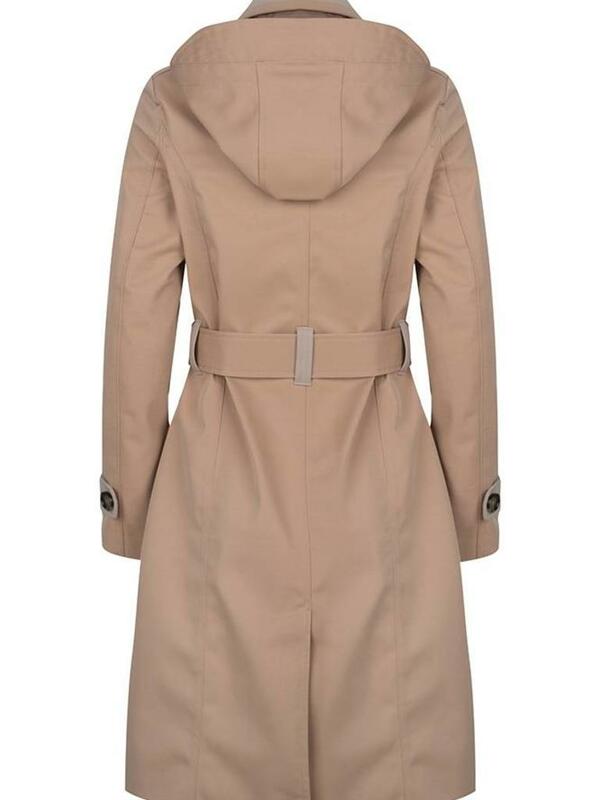 The coat also has extra breathability due to the special air ventilation holes that are located under the armpits and the breathable coating on the fabric that is also used for outdoor coats and sports wear. The coat also has special ventilation openings that are located under the armpits. 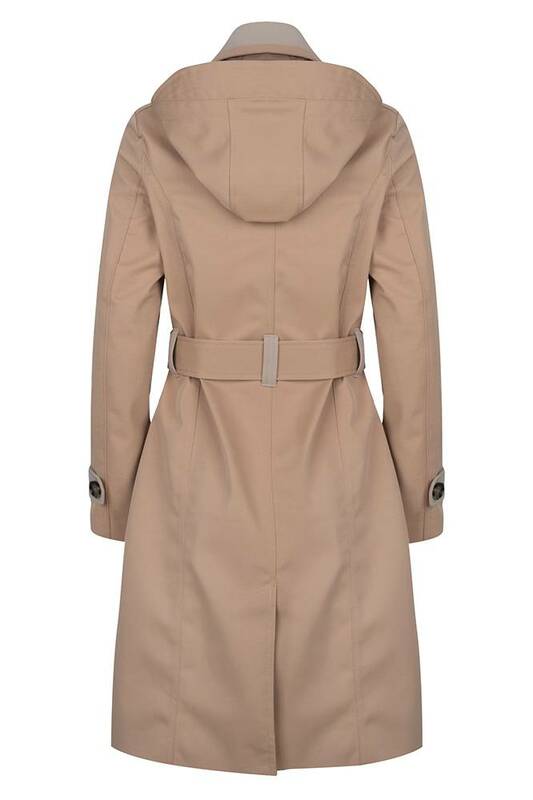 The stylish raincoat has a keycord in the right side pocket, so you don't lose your keys on the way and an inside pocket with a flap closure to keep all your important belongings safe. This multifunctional style also has a detachable hood with adjustable cap on 3 points; to have the ability to zip off the hood. This is what we call multifunctional! 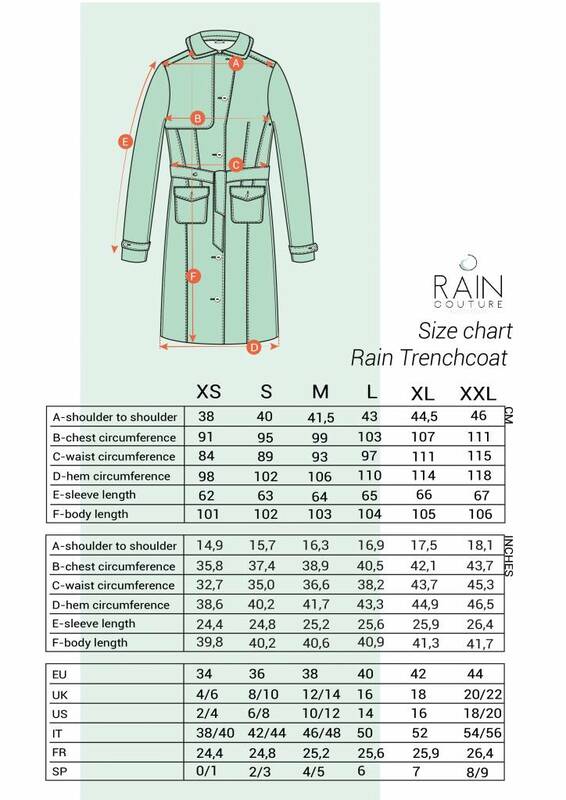 This has been a great product for me, combining a practical waterproof within a stylish trench. The generous hood has saved me (and my hair) during sudden showers. Have received many compliments on it. It's finally restocked! I am so happy with my purchase! It was worth to wait! Ready for Spring in this One!